AXS: How and when did you decide to become an entertainer? 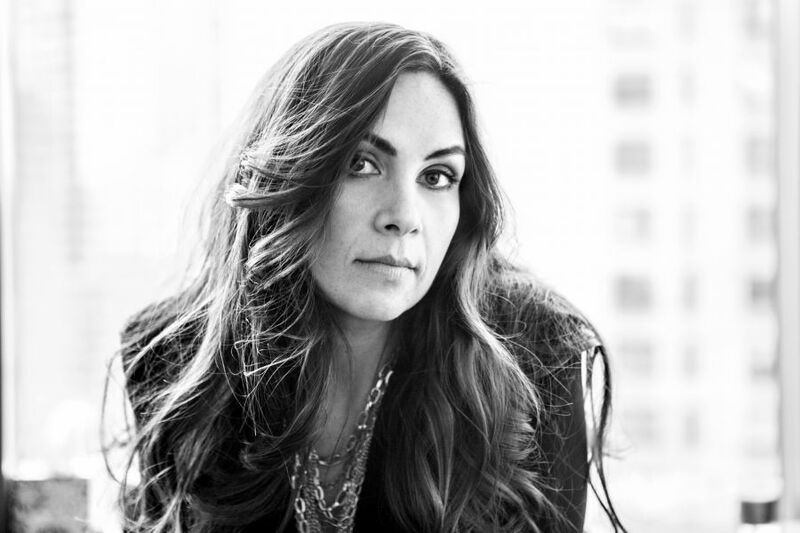 Jess Pomerantz (JP): I don’t think I “decided” to become an entertainer. I tried many times to force it away, to make my heart catch up with my brain that said it’s not practical, unrealistic. How many people actually make it? It didn’t matter. It’s who I am. You can’t escape that. AXS: Growing up, what kinds of music interested you? JP: Growing up, I was a huge Beatles nut. My best friend and I went to Beatlefest every year and had the time of our lives immersing ourselves in the 60s/70s. I always felt like I was born in the wrong era back then. As I got older, I fell in love with 90s rock. My favorite band was Silverchair, who were huge stars in Australia but just being discovered over here. I loved their beautiful melodies embedded in the grunge rock sound. Some of my other favorites growing up were Fiona Apple, Indigo Girls and Red Hot Chili Peppers. 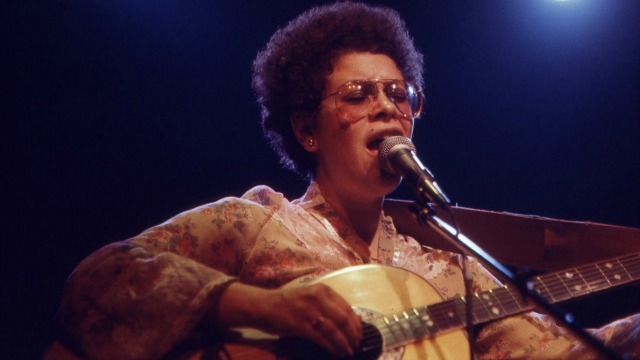 AXS: Phoebe Snow was your cousin! How did she influence you? Do you have any cool stories about her? JP: Phoebe influenced my confidence as a performer and vocalist more than anything. The first time I ever spent any time with Phoebe alone (without my parents there) was in my late teens. We met in NYC, ate lunch at a vegan restaurant on the UWS and then went to her voice lesson. I remember being confused as to why this famous and successful vocalist was taking lessons! She taught me the most invaluable lesson then and there. Treat your voice with respect. It’s a muscle that gets tired and needs respect. You can grow that muscle and improve as long as you keep working on it. After she sang opera scales (yes OPERA! ), she made me sing a scale. I was SO shy and nervous, but I did it. I remember her tearing up saying “Yes honey. We do come from the same family. If you don’t continue singing and pursuing this passion, I’ll be very disappointed. You have IT.” Afterwards, she took me to chant for 3 hours at a Buddhist temple! At 17 it was a lot to handle, but looking back, I know she was trying to teach me to center myself and focus. AXS: How would you describe your musical/singing style? JP: Big voice is the first thought that enters my mind. I’m definitely a belter (as was Phoebe). I really like to showcase the earthy, lower end of my voice, as many women can’t sing so low. When I’m belting I have the most fun and it’s the most cathartic. My music is definitely a fusion of my musical interests: rock, pop, classic rock and some blues. AXS: Did you start singing or songwriting first? JP: I definitely started singing first. I think I found my voice as I became more and more comfortable in my skin. As I learned to express myself vocally with other people’s songs, my own just poured out of me. AXS: How many songs have you written? What inspires them? JP: I can’t even count! Not all of my songs become ones that I perform or record, but they’re still a part of me. My songs are usually inspired by my relationships, not all romantic. Lately, I’ve been writing a lot about my relationship with myself. JP: The first time I performed in NYC was with someone who I co-wrote my first song with. We played that ONE song at a restaurant piano bar in the west village and had such an amazing reaction that I couldn’t stop. Initially I did some research and started contacting local venues. As I started playing more and getting a good crowd, they started asking me to play. JP: That’s so tough! It’s like choosing your favorite child (though I have no children yet, but I do have my puppy!). It really depends on the day and my mood. If I’m feeling angry and want to release some steam, it’s “Fill Me Up.” If I’m feeling romantic and lovey, then it’s “All I Want,” which I wrote for someone special. Right now, I’m really digging playing “Simple,” because it’s not only cathartic for me, but has apparently impacted a lot of people. I wrote that song about a bullying experience I had as a junior high school student. Through “Simple,” I hope that kids (and adults) learn that they don’t have to conform to anyone else’s standards. That what makes us unique is special. Being different isn’t bad. I want to touch people’s souls and help them stand up for themselves and heal. I can’t imagine choosing ONE favorite song ever, but my top five are “Oh, Darlin” Beatles; “Many the Miles” Sara Bareilles, “Least Complicated” Indigo Girls, “Tuna in the Brine” silverchair and “Honesty” Billy Joel. JP: This may seem small, but the most rewarding experience was when a young child of about 9 or 10 years old told me that listening to “Simple” saved her. She had been bullied by the group of “mean girls” in her elementary school and was really depressed. She said that my song helped her see that those kids were the ones that were suffering and truly alone. It was an amazing moment to be able to connect to someone who went through what I had gone through and come out on top. AXS: What advice would you give to someone who is aspiring to become a musician? JP: Don’t give up. I know this sounds cliché, but it’s so easy to give up. It’s emotional and you constantly put yourself on the line to be critiqued. But if it’s inside you, you won’t be able to give up. I also say to play live as often as possible. It helps you hone your songs and your stage show. Anyone can sound good with the help of autotune. In my opinion, real talent and artistry is seen on stage. JP: I was recently asked to join the Melodic Caring Project, which I’m really excited about. This is an amazing, inspirational organization where musicians perform for sick children. Many of these performances are virtual, so I’ll be singing from my apartment in NYC to the hospital rooms of these children. I’m very excited to do my first concert for them and hopefully make them smile. I’m performing at The Bitter End on March 3, which is always like going home for me. It was my cousin Phoebe’s old stomping grounds and I can feel her presence when I take the stage. I’m also always writing and looking forward to getting back to the studio to share new music with you! To learn more, visit Jess’ Soundcloud and website.